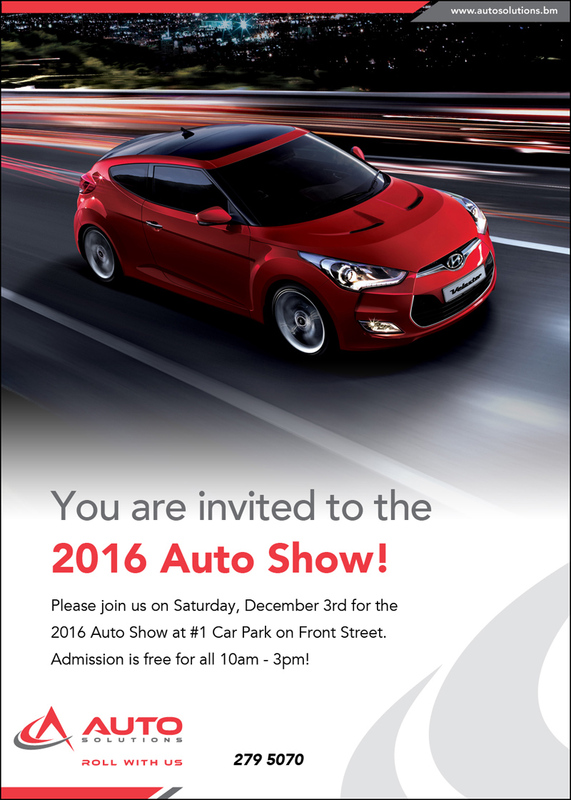 The Auto Solutions and HSBC Auto Show will take place this Saturday, December 3rd at the #1 Car Park on Front Street from 10am to 3pm. “Enjoy free admission to the event which will take place rain or shine,” the organisers said. “Food and drink will be available for purchase and a DJ will keep you entertained throughout the day! Local vendors will also be on hand with hobby cars, demonstrating them around a remote control race track. “Don’t miss out on your chance to test drive select Auto Solutions models between 11am and 2pm on the day. Call Auto Solutions on 279-5050 today to book a test drive in the car of your choice at the event. “Request a vehicle quote from Auto Solutions at the event and receive a coupon for $1,500 off the purchase of a new vehicle plus your first 6 month service free [a value close to $2,000].